Every day our skin is exposed to environmental influences which may cause our skin to age faster. Not only that, but as we get older our skin loses its suppleness and ability to regenerate, it develops wrinkles. Collagen fibers, a very inelastic structure protein in our skin, ensure skin stability. In this rejuvenation process, special cells such as fibroblasts simulate increased collagen formation and the skin may becomes more supple. 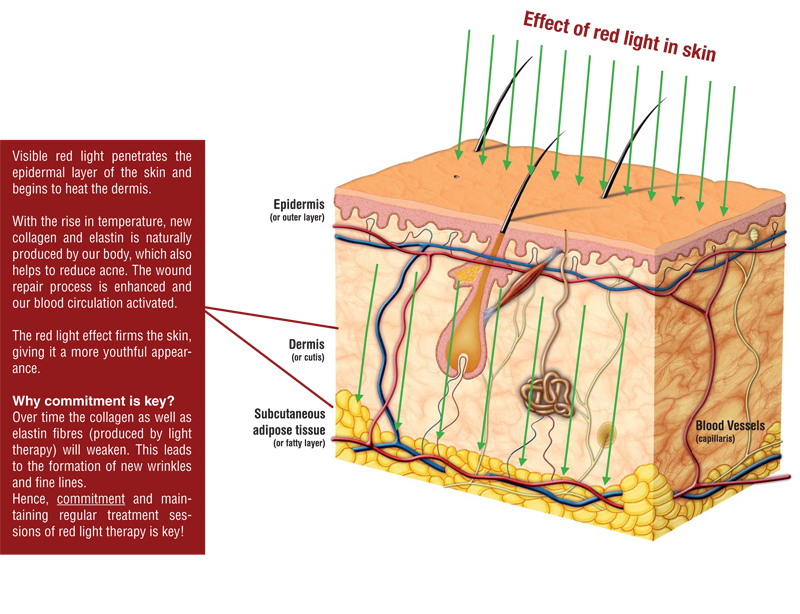 Due to its spectral characteristics, special “red” light can penetrate particularly deeply into the skin to where the collagen and elastin fibers are. Blood circulation and metabolism are stimulated, and the regeneration is promoted. The skin appears refreshed and smooth, it revitalizes. Red lamps can also be used in many specialty applications. * Red Light lamps are not FDA compliant for sun tanning units.